"One of Larry’s greatest assets is his thorough knowledge of the area and its real estate. He can provide clients the insight he has gleaned throughout the years so that they can make informed decisions. His diligence, timeliness, and attention to my needs resulted in my purchasing a beautiful home. 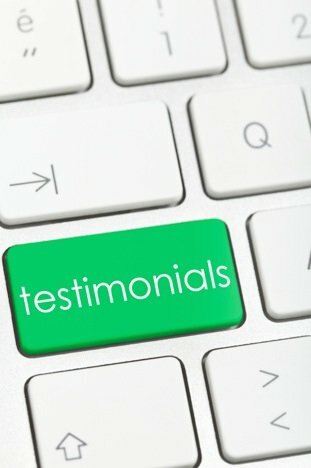 Because the experience was so positive, personally and financially, I have continued to do business with Larry over the years and have bought and sold a handful of properties with his help." January 7th, 2014 I purchased a property that was owned by the Royal Bank of Canada. My realtor, Larry Booker knew what I was looking for. He advised me on the property indicating the rules of purchasing a repossessed property and was very knowledgeable in this area. I purchased this property at a price that was over the listing price and feel I received good value. Prior to this purchase I was involved in another property which was also a repossessed property. The property went to another bidder but throughout the entire process Larry was in contact with me each day if not a few times a day to let me know the status of my offer. It was my option to back out of the bidding process as the price was higher than I wanted to pay. However, if I followed Larry’s advice I am sure I could have owned that property. Over the past 3 years I have purchased four homes and sold two with other realtors. From a clients perspective an agent must remain in contact with the buyer or seller on a frequent basis and provide the advice a client needs to make a financial decision. Larry, unlike my previous experiences kept in constant communication and provided me with documentation to aid me in my decision making process which is vital in a client/realtor relationship. Taking this process one step further Larry was well known by my mortgagor and directed me to a lawyer which enabled a smooth transaction. I highly recommend Larry Booker. He has the experienced and knowledge in regular and repossessed home transactions is well known in the legal and bank communicates. Thank you Larry for all you have done and I look forward to continuing this relationship. A friend of mine recommended Larry Booker to help my wife and I with buying our first home. After various horror stories from other friends about their buying experiences, we had been prepared for the worse. On the contrary, Larry guided us through the process flawlessly, even in the face of a rather shrewd and uncooperative seller. From the first time we discussed being in the market to the day we moved in, Larry provided a top-notch service which I would recommend to anyone in a heartbeat. 10/10! One of Larry’s greatest assets is his thorough knowledge of the area and its real estate. He can provide clients the insight he has gleaned throughout the years so that they can make informed decisions. His diligence, timeliness, and attention to my needs resulted in my purchasing a beautiful home. Because the experience was so positive, personally and financially, I have continued to do business with Larry over the years and have bought and sold a handful of properties with his help." Thanks. January 7th, 2014 I purchased a property that was owned by the Royal Bank of Canada. My realtor, Larry Booker knew what I was looking for. He advised me on the property indicating the rules of purchasing a repossessed property and was very knowledgeable in this area. I purchased this property at a price that was over the listing price and feel I received good value.Prior to this purchase I was involved in another property which was also a repossessed property. The property went to another bidder but throughout the entire process Larry was in contact with me each day if not a few times a day to let me know the status of my offer. It was my option to back out of the bidding process as the price was higher than I wanted to pay. However, if I followed Larry’s advice I am sure I could have owned that property. Over the past 3 years I have purchased four homes and sold two with other realtors. From a clients perspective an agent must remain in contact with the buyer or seller on a frequent basis and provide the advice a client needs to make a financial decision. Larry, unlike my previous experiences kept in constant communication and provided me with documentation to aid me in my decision making process which is vital in a client/realtor relationship. Taking this process one step further Larry was well known by my mortgagor and directed me to a lawyer which enabled a smooth transaction.I highly recommend Larry Booker. He has the experienced and knowledge in regular and repossessed home transactions is well known in the legal and bank communicates.Thank you Larry for all you have done and I look forward to continuing this relationship. Larry deals in information. He knows what the buyer wants, and not only what's on the market, but what might be coming on the market. Any conversation with Larry stands to make you money. He puts willing sellers and willing buyers together. When my family decided to move to Fredericton, we were referred to Larry Booker by our real estate agent in Waterloo. I explained to Larry what kind of house we were looking for, and that I would be making a one-day trip to Fredericton to look at houses and hopefully make a purchase. The day before my trip, Larry sent a detailed schedule of about twenty houses that might suit our needs. He picked me up at the airport with a coffee waiting in the car for me. We then proceeded to look at all of the houses on the list, and I saw several that I liked. The next morning, we had a closer look at the finalists, and with Larry's help I decided upon a house that I was sure was the one. When we presented the offer to the buyer, Larry was a strong negotiator and helped us get a great price on a home we loved. In the afternoon when I was supposed to fly out, there was a snow storm coming in that I was worried would cause my flight to be cancelled. I made it through security and was minutes away from the boarding time when the flight did get cancelled. When I walked back out of the boarding area, Larry was there waiting for me. He had waited to make sure I got off okay, and gave me a ride back to my hotel. I have listed several properties with Larry and I am very satisfied with the service I have received. Larry is very detailed in negotiation and he is also very realistic in determining property values. His objective is to sell the property not let it sit and get stale on the market. He has the respect of the other agents in his industry and I have recommended him to several of my friends and clients.